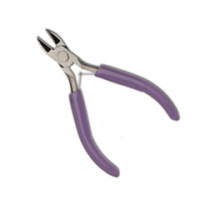 Here you will find a selection of our favourite tools and accessories for sugar flowers. 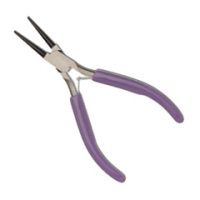 From stamens to leaf cutters, pliers to drying trays, you can be certain we have tried and tested all the equipment here. If you don't see something here, please check out the rest of the website or get in touch so we can add it to our ever growing range of cake decorating supplies. Cel Stick for ultra fine rolling anf frilling. 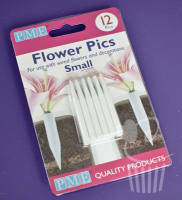 3mm x 115mm - Use the “cocktail stick” for frilling flower paste petal edges. Pointed at one end for hollowing the centres of sugar flowers. 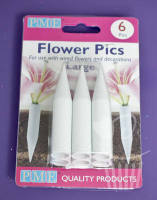 Supports sugar flowers while you colour and dry them. 196mm x 94mm - FREE piece of non slip matting included. 196mm x 127mm - FREE piece of non slip matting included. 196mm x 252mm - FREE piece of non slip matting included. 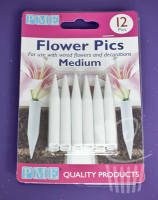 For beautiful shaped petals and foliage with soft natural curves and additional veining detail. Pack of five - 100g each colour. Mix lots of colour variations. Egg Shaped Mould for drying sugar petals in a natural form. Invertible stand with 10 flower formers. Icing Bag Holder. Bulbous cone - Ideal for frilling!